The Vientiane International School Board of Trustees is an 9-member volunteer group of parents committed to the mission of the school which is to challenge, inspire and empower students to develop their unique potential and to be responsible citizens in a changing world. The Board helps to ensure that as a school we provide a safe, respectful, collaborative and sustainable learning environment for not only students, but the entire VIS community. Sandra joined the board in 2015 as Vice Chair and has held the Board Chair role since 2016. She is a practicing psychotherapist. Raised in Switzerland and educated in the US, she lived in Ethiopia and the Dominican Republic before arriving in Vientiane in 2014. She has enjoyed learning about good board governance and feels lucky to be surrounded by such a compassionate group of colleagues as they support the school in fulfilling its mission. Michael has been on the board since 2015 and held the vice chair position since 2016. He is currently leading the Agro-biodiversity Initiative funded by SDC and implemented by the Ministry of Agriculture and Forestry. Having lived abroad in Nepal and Thailand, he and his family joined the VIS community in 2002. He brings a communication and networking background to the team. Randy joined the board in 2018. He is the Management Officer at the U.S. Embassy Laos. 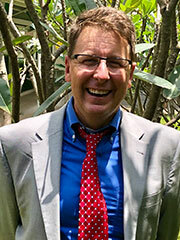 He previously served in Dhaka, Bangladesh and Lima, Peru and has come to Vientiane from Washington D.C. He is excited to be on the board because he knows how important VIS is to the community. Koen joined the board as Treasurer in 2017. 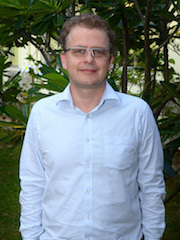 Since 2014 he has been the Development Cooperation Officer at the Delegation of the European Union to Lao PDR. He previously worked in Belgium, China, Vietnam, Italy and Cambodia. He is excited to support the school's long-term financial sustainability to support future growth, facility improvements and maintaining reserves to cover unforeseeable events. Cliff joined the school board in 2017. He originally lived in Laos in 2002 for two years and returned in 2016 with his Lao wife and two children. Cliff worked with UNICEF for 23 years across Asia and the Pacific as an Education Specialist and supports the Board in the Policy Committee and as Secretary. Rachel joined the board in 2016 and was re-elected in 2018. 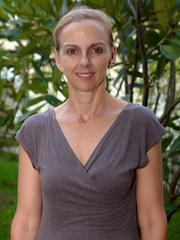 An Australian who dedicated her studies and research to Laos, she has extensive experience working in various development sectors and currently has owner-operated businesses in hospitality. Rachel is pleased to contribute to the VIS board with interest areas of governance, sustainability and campus development. Tim has been a board member since August 2017. He is the Regional Director of the Swiss Agency for Development and Cooperation. He moved to Laos from Switzerland in 2015 after living in both Ethiopia and Pakistan. His particular focus is on board governance and policy issues and he is committed to contribute to an environment that facilitates the long-term development of VIS as a high quality, student-oriented school. 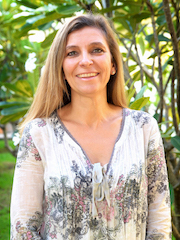 Chloé joined the school board in 2018. 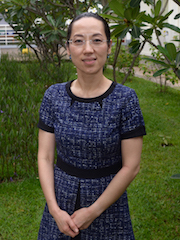 She has lived in Macau, Thailand and the United States and before deciding to return back to Laos, her home country, about 10 year ago. Currently she is working as a Duty Managing Director in Thanasup Leasing and Finance Co., Ltd. She joined the VIS community in 2014 and truly appreciates the diversity, the sense of openness, mutual respect and acceptance of differences that VIS offers. She is passionate about holistic education and keen to support all aspect of school development and future plans. Marum joined the school board in 2018. He is an architect with design, project management and vocational education experience. 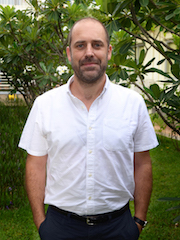 He has previously worked in Portugal, East Timor and Australia. His consulting business Metio provides tailored design and project management services to meet community needs. Marum is excited to be on the board where he will be focusing on the schools’ development plans. Annual General Meetings take place every September. Click below to download the minutes of current and previous AGMs. The Vientiane International School is located in the city of Vientiane, Lao PDR. The School is foremost a non-profit institution, but in order to be fully operational it is registered with the Lao authorities as a private limited company. The School is governed by a Board. It is administered by a Head of School in accordance with its By-Laws and Articles of Association. These By-Laws outline the roles, rights and responsibilities of Parents, the Board of Trustees and the Head of School. In addition, they explain the procedure for holding General and Annual General Meetings and voting procedures for the election of Board Members, and outline the financial dealings of the School. “Parents” shall mean all Parents or legal guardians of children who are enrolled in the School and whose tuition is duly paid, Parents or legal guardians of children who receive scholarships to attend the School and VIS teachers who are entitled to free education for their children. All Parents shall be entitled to, in total, one vote per child enrolled in the School. The Board shall mean the governing body elected at the Annual General Meeting of Parents. The Board represents the interests of the Parents as a collegial body and is charged with taking collective decisions for the enhancement, protection and well-being of the School. The Board shall have full authority and responsibility for all matters connected with the governance of the School. In fulfilling its governing function, the Board shall establish such policies as may be required for the proper and efficient operation of the School. The Board shall select, nurture, evaluate and, if necessary, dismiss the Head of School of VIS. Approving Contracts on Behalf of the School: The Board may authorize the Head of School (and/or the Operation and FInance Manager or any other agent) to enter into an approved legal contract or execute and deliver any instrument in the name of and on behalf of the School. Financial and legal limitations of any such authorizations shall be well defined and reviewed by the Board or its committees on a regular basis. The Board shall have eight voting members elected by the Parents. If fewer than eight Parents are elected, there shall be no fewer than four voting members elected to the Board. Parents may nominate and elect a non-Parent as a member. However, at all times Parents shall represent a majority of the voting Board Members. VIS staff and spouses will not be entitled to run for the Board but those who are Parents are entitled to vote and propose candidates. The Board may appoint Parents and non-Parents as non-voting ex-officio members for terms not to exceed one year to assist in the effective discharge of its duties and responsibilities. The Head of School will be an ex-officio member of the Board but without the right to vote. The Board shall elect four (4) Board officers from among its voting Members: Chair, Vice-Chair, Treasurer, and Secretary (see 2.3.1 for details). These officers shall be elected by the full voting Board, at the first meeting after the election. The term of office shall expire after 12 months, although the Member maintains the right to stand for election to any Board officer position. Officer positions that become vacant shall be filled in the manner above at the next meeting of the Board following the occurrence of the vacancy. Newly elected officers shall hold office for the remainder of the unfulfilled term. 2.4.1 The Board Secretary shall notify Parents of vacancies through advertisements in school publications and request applications for nominations for all open positions. 2.4.2 Parents interested in serving on the Board, including existing Board members serving a 12- month extension or new 2-year term shall submit completed applications to the Board Secretary through the School office. The Secretary shall distribute a ballot paper to Parents that includes candidates’ names and short biographies. ii) voting at the AGM. The counting of ballots shall be supervised by the Board Secretary. In the event that the Secretary is a candidate for re-election, the balloting shall be supervised by another Board Member who is not a candidate for re-election, or, failing such a Board member, by a representative of the Parents. 2.4.4 Voters get as many votes as there are vacancies, but no one candidate shall receive more than one vote per ballot paper. Voters do not have to cast a vote for each vacancy. Ballots with more candidates checked than the number of vacancies being contested, or with any other irregularities, shall be declared invalid. 2.4.5 New Members are elected in order of the number of votes received. In case of a tie for the last remaining vacancy, a run-off election shall be held as soon as practicable, preferably during the same meeting. 2.4.6 In the event that an elected position becomes vacant prior to the completion of the term of office, the Board can decide whether to appoint a voting member until the next AGM or keep the position vacant. In either case, the position will be filled by election at the next AGM. 2.5.1 By a vote of two-thirds (2/3) of the Members of the Board if such Member does not attend three consecutive, regularly scheduled meetings, has not paid fees or met other Parental responsibilities to the School, or acts in a manner contrary to the code of conduct. 2.5.2 Parents may dismiss one or more Board Members at a General Meeting, which may be arranged according to the procedure outlined in Section 4.1 of these By-Laws. If, at the General meeting, a vote to dismiss a Board Member is successful, the Board may replace him/her with a new Board Member (according to the procedure outlined in Section 2.4). If fewer than four voting Board Members remain after the dismissal procedure, an election must take place to elect replacement(s). 2.6.1 A quorum of 50% of the Board Members with a vote is needed for a meeting to be an official Board meeting. 2.6.3 Board meetings will be open to Board Members only, but for the presence of staff and/or Parents invited to attend. The Board may agree that a non-Board-member may take notes in order to prepare the minutes. 2.6.4 The Board shall have various committees (e.g. policy, finance, development) and may, in its discretion, create such other (temporary) positions as it deems necessary. Committees shall have a chair, to be appointed by the Board as a whole. The Board shall provide each committee with written ‘terms of reference’ or a job description. 2.6.5 Minutes shall be on file and accessible by all Board members. Finalized Minutes shall be made accessible to all Parents. The Head of School shall be appointed by the Board. 3.1.1 The Board shall delegate certain executive powers to the Head of School to manage the School according to the Board's policies. As the School’s chief executive officer, the Head of School shall be responsible for the administration of the Board’s policies, the execution of its decisions, the efficient operation of the School, and for keeping the Board informed about School operations and problems. Although the Head of School carries responsibility for the day-to-day administration of the School, the Board retains the ultimate legal and financial responsibility for the School on behalf of the Parents. 3.1.2 In the event that a vacancy occurs in the office of the Head of School, the Head of School shall appoint a qualified Acting Head of School (in the case of a short-term absence); or the Board shall appoint a qualified Acting Head of School, who is not a Board Member, for a negotiated term (if the Board determines that the Head of School is not the appropriate person to appoint the Acting Head of School. The Head of School is responsible for managing all aspects of the general administration of the school in an ethical manner, reflecting the intent of Board Policies and acting as the Chief Executive Officer of the organization.The duties and responsibilities, and executive limits on the execution of these responsibilities shall be clearly defined by the Board in the contract. The Head of School shall be responsible only to the Board, and shall not be responsible to any individual Board Member or Board Committee. 3.3.1 The Board shall evaluate the Head of School annually. 3.3.2 The Board shall determine an annual evaluation process which will be documented as part of the Head of School's contract. The evaluation process will reference school and individual goals and the job description of the Head of School. All written documents compiled by the Board relating to the evaluation of the Head of School are to be treated as strictly confidential and are not to be made available to other parties without the written consent of the Head of School. 3.3.3 The Board as a whole shall be responsible for the determination of the salary and benefits of the Head of School. The evaluation of the Head of School shall be considered during review of the Head of School's salary and benefits for contract renewal and mid-contract salary adjustments. Details of dates and procedures for this review will be listed in the Head of School's contract..
An Annual General Meeting (AGM) shall be called by the Board each May Other General Meetings can be called by the Board any time, or called via a written petition to the Board, signed by Parents representing 15% of the student-body, which outlines the subject matter to be addressed at the meeting. 4.1.1 Agenda: The agenda for each AGM shall include reports on the school (other, General Meetings shall be restricted to agenda items contained in the petition or resolution calling the meeting). 4.1.2 Notice of Meeting: Written notice stating the place, day and hour of the General Meeting and the purpose(s) for which the meeting is called, shall be delivered to Parents at least 10 days prior to the date of the meeting. 4.1.4 Voting Record: The Secretary of the Board or their nominee shall make a complete record of Parents voting at the meeting or any adjournment thereof, arranged in alphabetical order, with the number of votes held by each Parent. 4.1.5 Teachers: Teachers who are entitled to free education for their children will also have Parents’ rights (i.e. one vote per child), but not on matters relating to the conditions and benefits of teachers. The Board shall organize Forums at which information will be disseminated and discussion of issues relating to the School and pupils will take place. The Head of School and at least one Board member shall attend each Forum, which shall be open to all Parents, teachers and staff. The Board shall hold at least three School Forums each year. 4.2.1 In October/November: presenting proposals regarding any changes in the number of expatriate teachers and/or any changes in the compensation package provided to the expatriate teachers for the next school year. 4.2.2 In February/March: presenting proposals regarding any changes to the tuition and/or capital fees for the next school year. 4.2.3 In April/May: presenting the draft final budget for the next school year. Representatives of the Board shall be available to meet Teachers, Parents and the Student Council as required. The financial year of the school runs from August 1 through July 31. The School is foremost a non-profit institution, but in order to be fully operational it shall be registered with the Lao authorities as a private limited company. The School does not contemplate pecuniary gain or profit, incidental or otherwise, and no part of its net earnings shall inure to the benefit of its Members, Board, officers or other private persons, The School may pay reasonable compensation for services rendered and make payments in furtherance of its purposes, and return sufficient funds to plan for capital projects and contingencies. 5.3.1 The School may be closed for an indefinite or defined period of time to accommodate unusual circumstances that preclude the normal and effective operation of the School. In such circumstances, the Head of School shall recommend to the Board that the school be shut-down and define the conditions by which the school will re-commence. Closure for such circumstances requires the affirmative vote of the whole Board. The Head of School shall make plans for shutdown of the school as are required to maintain the facilities, finances and resources in good order and shall remain the responsible officer through the term of the contract. 5.3.2 The School may be dissolved and its activities terminated only upon the affirmative vote at two successive meetings of the whole Board. Notice stating justification for the proposed dissolution shall be given to all Trustees in writing no later than fourteen days prior to the second such meeting. The views of the staff and Parents shall be solicited and considered prior to the second meeting. 5.3.3 Should the School be terminated and dissolved, any assets remaining after payment of all just debts and obligations shall be transferred primarily to the Parents as a refund for that current year’s fees and contributions to the capital fund. Thereupon, any balance (if any) shall be made available to a Lao PDR based non-profit, charitable, educational or scientific association that is engaged in educational activities, preferably an international school. These By-Laws and Amendments to these By-Laws are adopted by a General Meeting with a simple majority. These By-Laws shall be reviewed by the Policy Committee of the Board every three (3) years. Policy Manual. The adoption of new policies or changing existing policies is solely the responsibility of the Board. Policies may be adopted or amended by a simple majority vote of the Board. Unless specifically stated otherwise, the policies, as amended, shall take effect immediately upon adoption. Finance Manual. The adoption of new financial regulations or changing existing regulations is solely the responsibility of the Board. Policies may be adopted or amended by a simple majority vote of the Board. Unless specifically stated otherwise, the policies, as amended, shall take effect immediately upon adoption.